Today I am introducing you one of the latest baby strollers in my BOB 2016 Revolution FLEX Stroller Review. Let me start by saying that my recommended stroller has a lot of upgrades which must be like by you. For 2016 we have a lot of updates like improved brake system, new frame design, easier recline system, new frame design, quick-release of the front and back wheels, enhanced and new colors, more upright seat and higher weight capacity. I believe all of these changes must change your stroller experience and considerations. So, follow my review to get a better statement about a baby stroller. 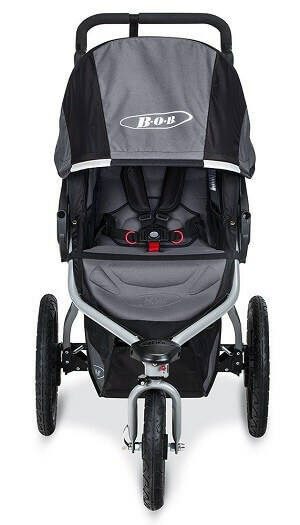 The BOB 2016 Revolution FLEX Stroller is perfect for on- and off-road jogging purposes. It is also ideal for outdoor enthusiasts and urbanites alike, keeping families active for the years to come. 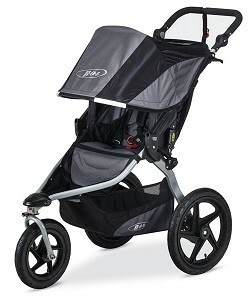 So I think if you want a nice long walk or a vigorous training session, the Revolution FLEX is an outstanding stroller. It is perfectly versatile. The front wheel swivels provide easy maneuverability through parks, city streets and other tight spots, but also locks for added stability when jogging or taking on rough terrain. So I think you may use it for multiple strolling purposes. Swivelling-locking front wheel swivels to maneuver tight turns or easy jogging on rough terrain. The basket of this updated version is now larger. It is almost 15% greater than before, and the setting seems quite lower. The maximum weight recommendation was 70 lbs before, but it’s 75 pounds now. So it has been more durable now. The seat position was slightly angled in the most upright position before. But now children will able to sit up straight and look around. Besides, you can release the front wheel more quickly than before. Though the release is a two-step now, it is easier than past's one step. The frame of the updated version of the stroller has redesigned. The new version has more plastic construction rather than metal. The recline is simpler, and it requires only one hand to recline the seat. You may need not any help of two hands. The updated weight has increased from 25 lbs to 28.5 lbs. It has included exclusive colors too. You may not find any cup holder or a water bottle holder to keep those necessary commodities. Is the updated version more helpful for parents than before? The 2016 model of BOB 2016 Revolution FLEX Stroller features a different kind of recline mechanism. My BOB 2016 Revolution FLEX Stroller Review has given you almost all the information of the updated version of it. At the same time, its seat now allows the child to sit more at a 90-degree angle. The basket of the updated version is updated now, and the weight recommendation has also increased. The seat position, release, and recline have been updated and made more comfortable both for parents and kids than the older version. So it seems quite helpful than before. How satisfactory warranty has been provided by the manufacturer? 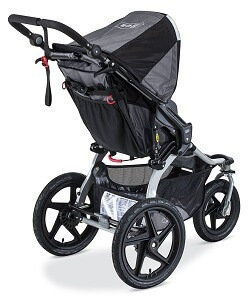 According to my BOB 2016, Revolution FLEX Stroller Review BOB has a 5-year limited warranty on the frame and one year on small parts and fabric. Warranty is only valid for the original purchaser. You have to show the proof of purchase to get the benefit of the warranty. Obviously, you have to pay for the labour and freight charges. I think it is entirely satisfactory. Is there any adapter for the different brands of car seats? You can have the BOB Infant Car Seat Adapter, which may be fit with almost all top branded car seats. I cannot ensure you that all of them will be installed. I have some examples of car seats which are not okay for this adapter. So it will be better you research a little bit for finding the proper car seats. You may rely on my recommendation because I have a long research on this product. My experience with the 2016 version has made me more confident to suggest you. After going through my BOB 2016 Revolution FLEX Stroller Review, you now surely know about the basic information of BOB Revolution stroller and the exclusive upgrades of 2016. As a parent, you must not compromise on your child’s comfort. It has developed its design according to parents’ choice and made it more usable and comfortable for them. So I am strongly recommending you this updated stroller for its parent-friendly convenient features with an affordable price. Have it and enjoy with your kids!